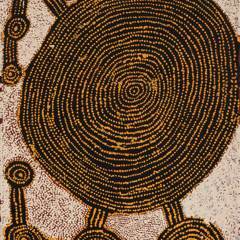 2016 marks the fortieth year of Willy Tjungurrayi’s career, making him one of the longest practicing Indigenous artists in Australia. 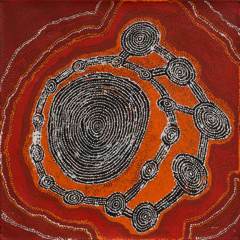 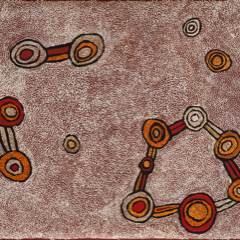 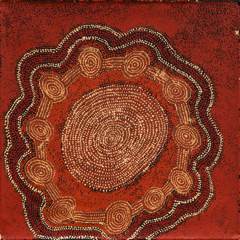 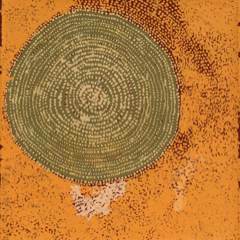 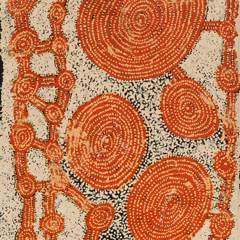 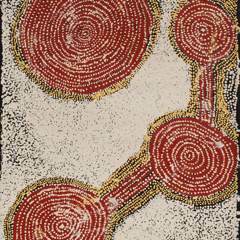 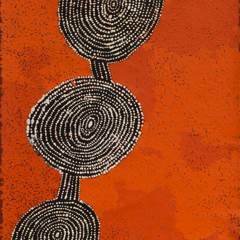 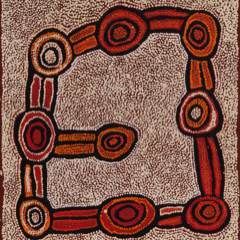 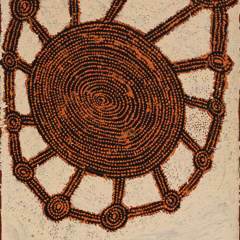 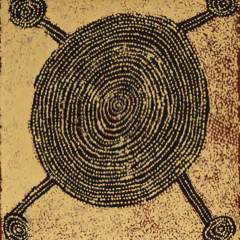 During this time Tjungurrayi has meticulously painted the epic journeys of the ancestral Tingari Men who created his country. 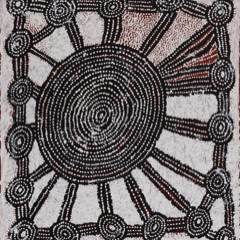 His painting technique demands intense concentration and commitment, typifying the classic Western Desert men’s style of dot and circle iconography. 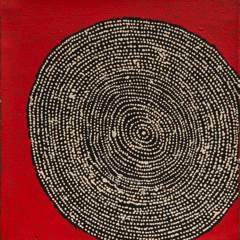 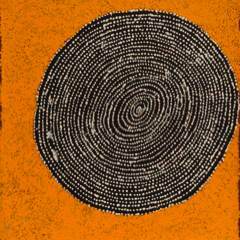 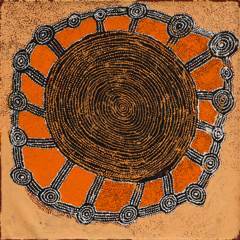 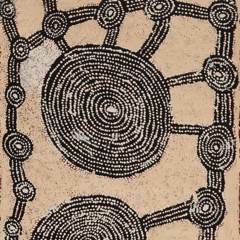 His art is very much of the ‘old school’ when compared to the more minimalist and contemporary paintings currently being produced by the men of Papunya Tula Artists. 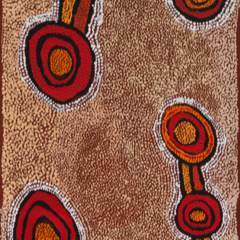 This however in no way detracts from his career achievements, and the level of recognition and respect he has gained within the Western Desert art movement since he first began painting in 1976. 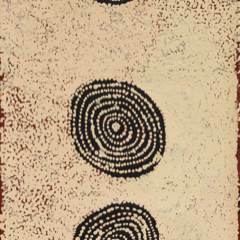 Now in his early eighties, these new paintings represent a true renaissance in his career. 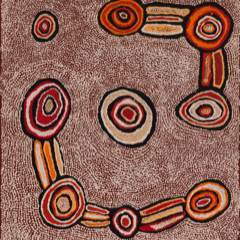 They are spectacularly passionate, brimming with emotion and personality. 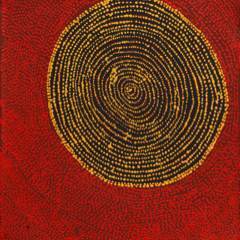 Willy Tjungurrayi, one of the most senior Pintupi custodians still living, has arrived at the pinnacle of his artistic journey, and these precious paintings justly illustrate him as one of Papunya Tula Artists’ most respected and acclaimed painters. 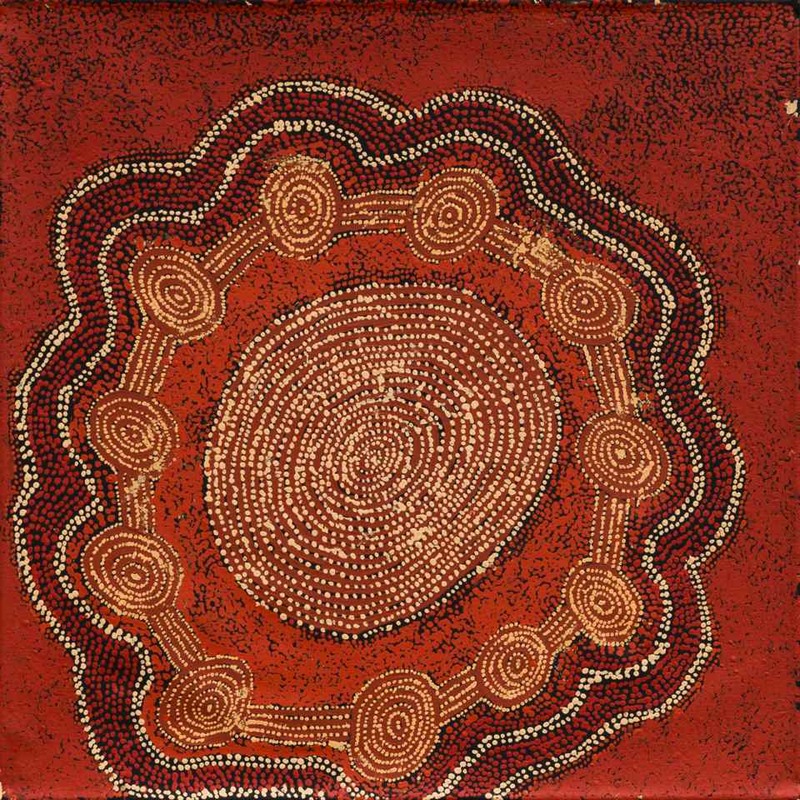 Lucy Loomoo is unique within the group of women with whom she paints with in Kiwirrkura. 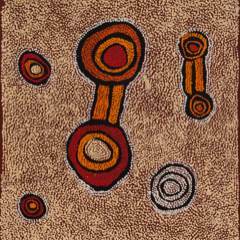 She began her career at Warlayirti Artists in Balgo in the early 1990’s, the community she settled in after leaving her traditional country around Kunawarritji (Well 33) on the Canning stock route. 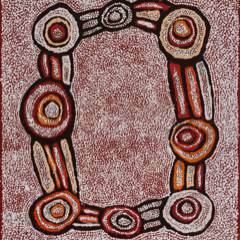 Since then however, Lucy has produced art through no fewer than three separate art centres. 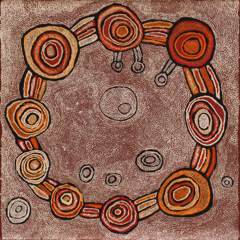 Like so many Western Desert people, Nungurrayi travels frequently, and due to her homeland being situated centrally between Balgo, Kunawarritji and Kiwirrkura, has accessed the art centres in all three communities. 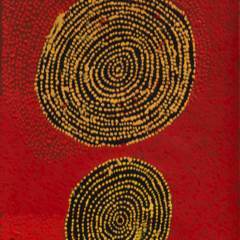 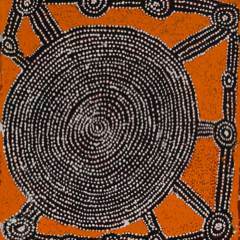 Along with Warlayirti Artists in Balgo and Papunya Tula Artists in Kiwirrkura, Nungurrayi has also painted through Martumili in Kunawarritji. 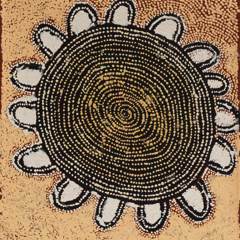 In many ways she is very much the quintessential modern Western Desert artist, moving freely across the country, accessing neighbouring art centres as she travels. 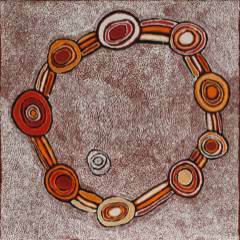 Perhaps most significantly is the fact that she has several styles of painting that she has adapted to the individual art centres. 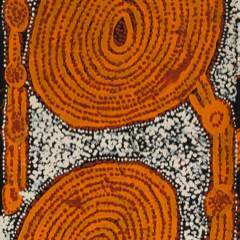 At Papunya Tula Artists she is of course best known for the works represented in this exhibition, strong bold line work, outlined with rows of meandering colours eventually giving way to open fields of off white. 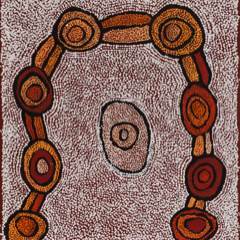 In recent years this has lead to Lucy firmly establishing herself within the group of women artists at Kiwirrkura and developing her own distinct style of painting.